Yesterday, I moderated a panel at PR Week’s Social Summit on social media management and where it fits within the public relations department. My panelists include Nicola Dodd, Cancer Research UK; Craig Hepburn from Nokia; and, Justin Hunt, Social Media Leadership Forum. Authenticity, trust continue to be critical. This is further highlighted in this year’s Edelman Trust Barometer. Real-time marketing matters and not just for the Super Bowl. 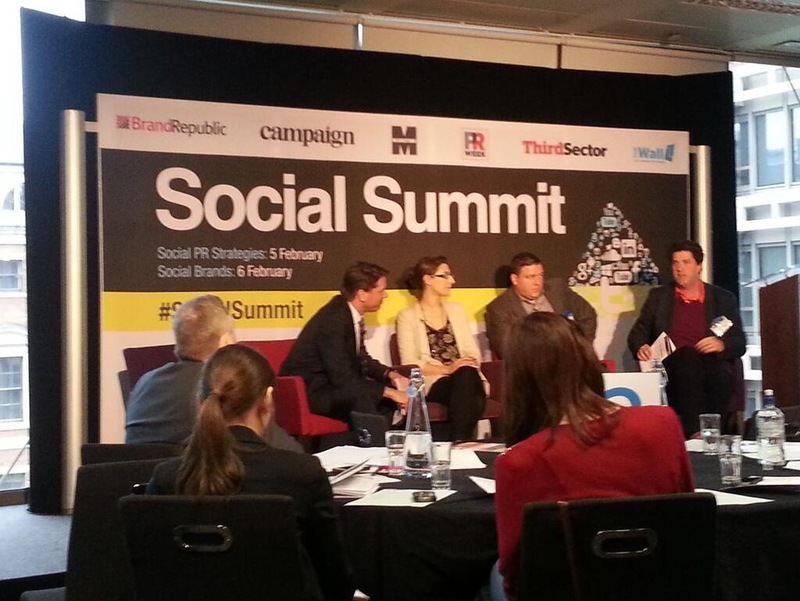 Today PR departments need to constantly monitor social channels for trends, issues and opportunities. 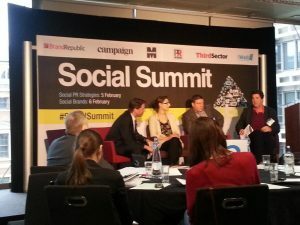 Where does social sit? Does anyone own it? How does is work across functional departments? Altimeter found although 78% of companies have a dedicated social media team but only 26% of companies say they have a holistic approach to social. Social media jobs are in abundance: SEO Specialist, Social Media Strategist, Online Community Manager, Social Media Marketing Manager, Social Media Marketing Coordinator, and Blogger or Social Media Copywriter are many of the job titles companies are looking to hire. Content: Everyone seems to be getting their arms around content and how to manage it. Both Nicola and Craig spoke in terms of their teams and how they have essentially formed news organizations. I continue to believe that content can be extremely useful to differentiate your B2B business, whether that’s through thought leadership, innovation, humor or customer service. Successful brands big and small recognize that content is an extraordinary piece of their strategy and planning, thinking and responding like a news organization makes a difference. This year, brand journalism remains a top priority for organizations and it’s something to embrace. Culture: A topic that we kept coming back too during the panel, and one that seemed to be a theme of the event from other speakers, involved the importance of corporate culture in adopting social media. Has social media changed your culture forever? Does being a good place to work impact a company’s results? From my own experience and being involved with an innovative culture I firmly believe it matters. If you want to know more about the importance of culture this report from McKinsey — Givers Take All: The hidden dimension of corporate culture — is worth reading. You should also read this from Mitch Joel on social media and corporate culture. As a side note, Nicola’s team worked on release of Play to Cure™: Genes in Space and it’s worth a look if you are interested in health sciences or gamification.